Smoked flavors aren’t new to the culinary world. Chefs around the world smoke steak, chicken, pork, seafood, and vegetables on a regular basis. Now, smoke is drifting into dessert menus, and people are loving every bite. Named one of the top five trends by IFT and one of the top dessert trends by the National Restaurant Association, smoked desserts are creeping their way into the hearts of chefs and guests alike. Dessert is a staple in any meal, and we are always looking for new innovative twists. Adding smoke to sweets may seem a little wild, but the flavor is sure to please everyone. Roasting marshmallows over an open fire is the most basic place smoke has in sweets. Nothing quite compares to the smoky crisp shell around an ooey-gooey center. However, we don’t quite think of s’mores as culinary masterpieces. Now, we are inspired from the similar flavor and are taking smoke out of the woods and adding it to succulent desserts. Campfires are not the only inspiration for smoked sweets. According to Saveur writer Betsy Andrews, a chef at Spot Dessert Bar found inspiration in authentic Thai cuisine. 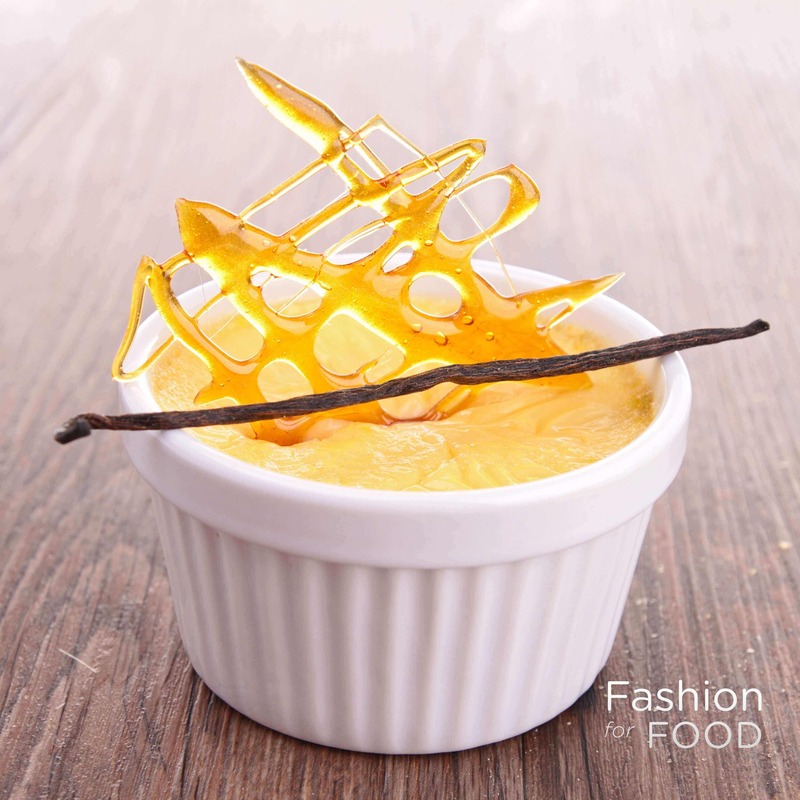 Chef Ian Chalermkittichai created a smoked cheesecake based on “tian op,” a Thai incense candle used to smoke coconut milk and high-end desserts. In this approach, one lights the candle on both ends and then puts it with the dessert that needs to be smoked. Although Thai cooks used this technique centuries ago, Chalermkittichai brought it up-to-date with today’s hottest trends. Customers, like Thai expert Nancie McDermott, are impressed with his calculated combinations and unique ingredients. There are many different reasons chefs are bringing smoked desserts into their kitchens. Popular barbecue restaurants across the nation want to incorporate the grill flavor throughout every course. This gives a smooth transition from the savory first dishes to the dessert. Other chefs want to add more depth to ordinary sweets. Smoke gives the consumer one more flavor to explore. However, the most common reason a restaurant may want to explore smoked desserts is because it is unique and is an element of surprise. People looking to enjoy a nice dinner out are always looking for new experiences. Smoke adds an adventurous twist to dessert menus. Right now, sweet and salty is popular – just take a look around coffee shops and ice cream parlors. Salted caramel is advertised almost everywhere because people love the combination. And the sweet and smoky trend is right around the corner. The presence of smoked desserts has already exploded from coast-to-coast. Nation’s Restaurant News writer Fern Glazer found many restaurants throughout the nation serving smoked desserts. Although each restaurant serves smoky ingredients in their desserts, each take on a different angle. In Washington, D.C., Del Campo, a grill specializing in South American cuisine, serves smoked desserts to keep with their consistent theme. They aim for their meals to flow for their customers. “I like continuing the theme of the grill throughout the dining experience. People love it,” chef Victor Albisu told Glazer. Albisu serves Grilled Carrot Cake and Grilled Lemon Cheesecake on his dessert menu, and both retain the smoky grill flavor. Although the Grilled Lemon Cheesecake isn’t thrown on the grill, the Grilled Carrot Cake is after it’s initially baked. Both cakes contain smoked ingredients – including grilled caramelized carrots for the cake and grilled fruit that tops the cheesecake. Both are a whole new experience from ordinary carrot cake and cheesecake. Another restaurant embracing the smoked dessert trend is La Sirena Clandestina, a Latin restaurant in Chicago, IL. According to Glazer, chef John Manion created a tres leches cake that showcases smoked mezcal caramel. Sugarmill, a popular dessert spot in Denver, CO, offers many different smoked cakes on their menu as well. Chef Troy Guard attributes his interest in smoky flavors to his Hawaiian roots. Better Half, in Atlanta, GA, is experimenting with smoked flavors throughout their dessert menu. Zachary Meloy, the executive chef, introduces customers to the smoked dessert experience by serving a cake with smoke-infused coffee ice cream, among other smoked dishes. The interesting menu keeps customers wanting more. Smoked ice cream has a special place on Tracy Obolsky’s menu at her New York restaurant North End Grill. According to Serious Eats writer Max Falkowitz, smoke is used as an accent to the main dish and one can change the amount incorporated. Just like other people want a marshmallow roasted differently, ice cream can be variably smoky depending on one’s taste. Although cakes and ice cream seem to be the most popular smoked desserts, the options are endless. It won’t be long until we see smoked chocolate, smoked cobblers, and even smoked pudding. This trend will continue to have a special spot on chefs’ menus. Smoked flavor can be infused into dessert easily, and this does not always require a smoker. Desserts with smoked salts are widely popular, because they are simple to create. Food smokers are also used frequently when creating smoked treats, especially when a smoker or grill is not readily available. Putting smoked ingredients into desserts is one of the most innovative combinations alive in the culinary world. Whether your goal is to pleasantly surprise your guests, keep your grill present throughout every course, or to try something new, smoked desserts are the way to go. This combination will surely intrigue and please anyone who takes a bite.